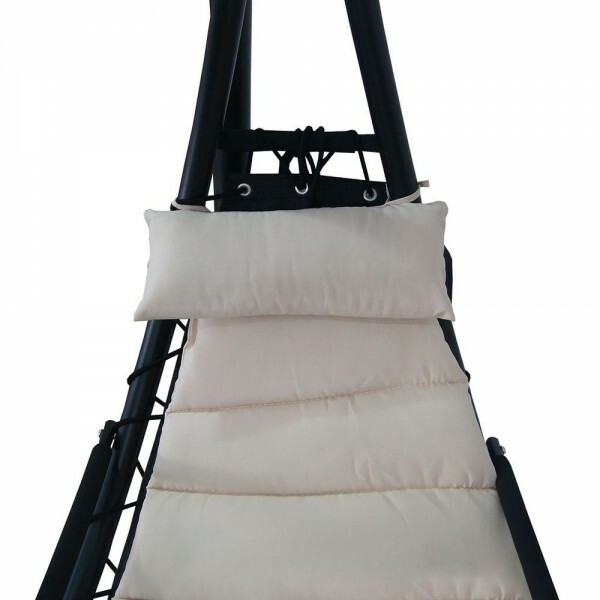 Lay back, relax and create a soothing outdoor experience by softly swaying your body back and forth side to side in the Blue Wave Island Retreat Floating Lounger. 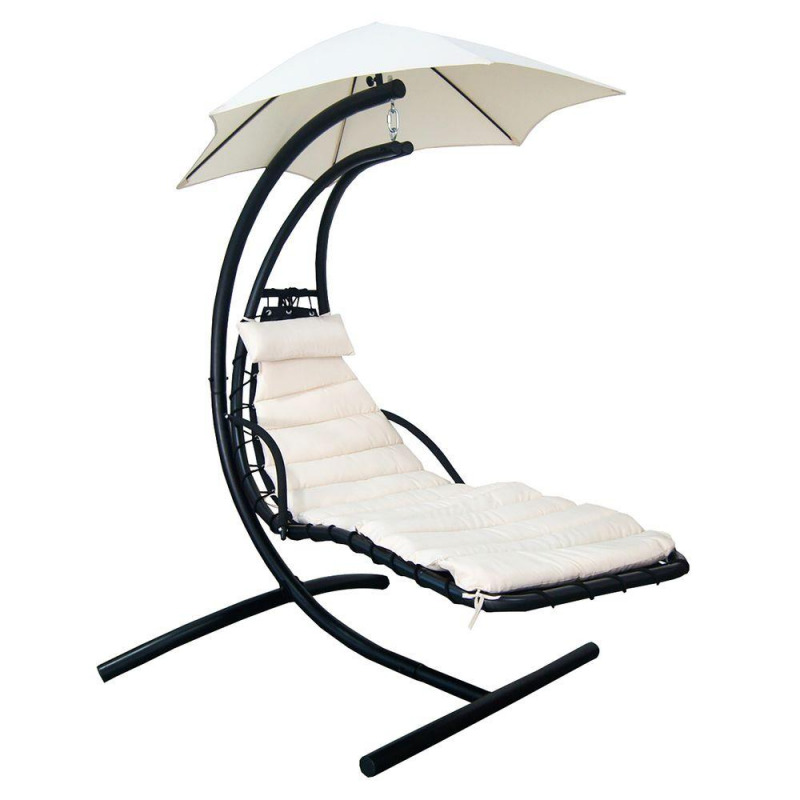 Lay back, relax and create a soothing outdoor experience by softly swaying your body back and forth side to side in the Blue Wave Island Retreat Floating Lounger. 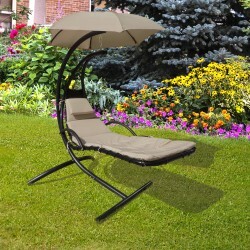 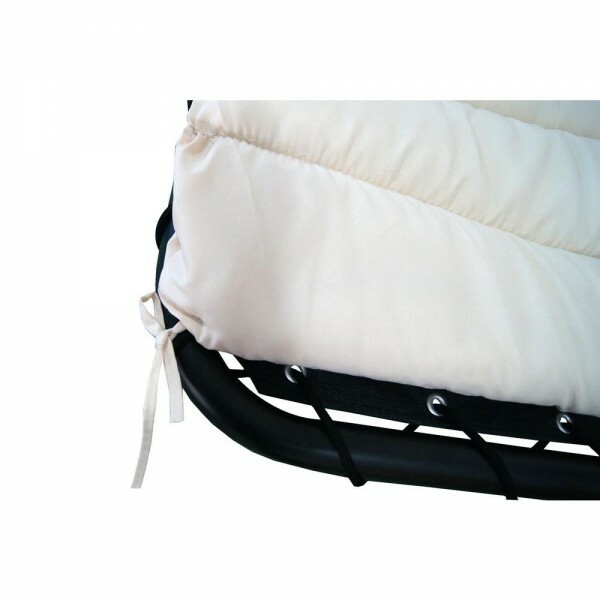 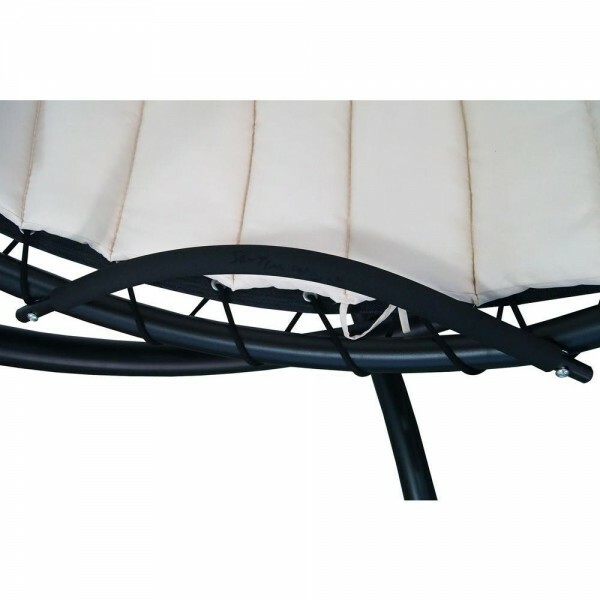 Featuring a heavy-duty steel full body support frame, soft, padded poly filled cushion pad with a built-in durable pillow and comfortable padded armrests – Includes a convenient adjustable Umbrella shade that is perfect for shading out direct sun light as needed. 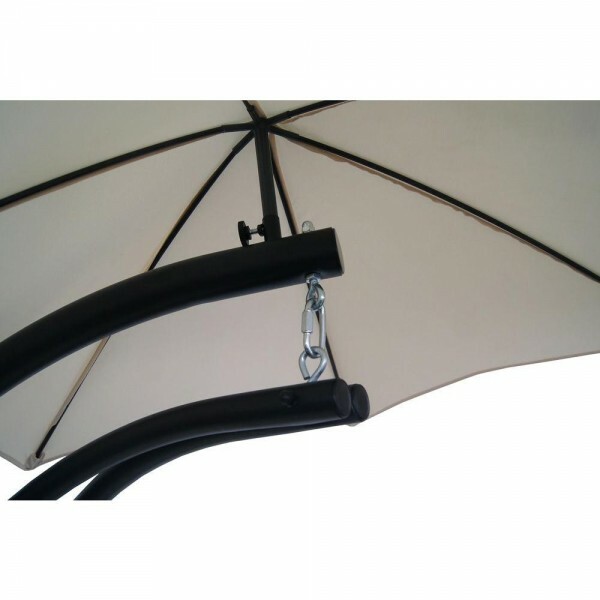 • Supports up to 280 lbs. 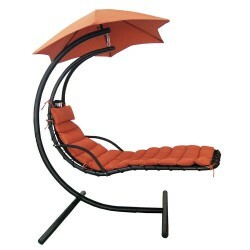 Lay back, relax and create a soothing outdoor experience by softly swaying your body back and forth, side to side, in the Hanging Chaise Lounge Chair.